In addition to discovering virtual infrastructure providers, CloudForms now has the ability to discover physical infrastructure providers in a given subnet range. Navigate to Compute → Physical Infrastructure → Providers. 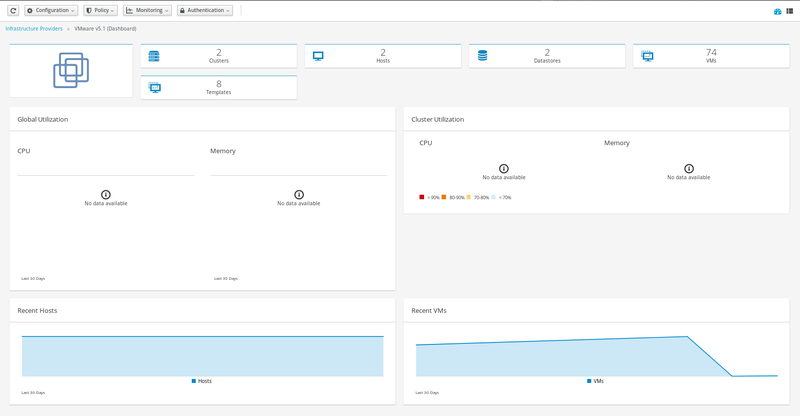 To collect capacity and utilization data from a Red Hat Virtualization provider, the capacity and utilization server roles must be enabled in CloudForms. The Red Hat Virtualization environment must also contain the Data Warehouse and Reports components and a CloudForms user. Specific clusters, hosts, and datastores can also be configured for collection. See Section 1.3.1, “Enabling Red Hat Virtualization Capacity and Utilization Data Collection” for configuration details. You can set whether Red Hat CloudForms should use the Telemetry service or Advanced Message Queueing Protocol (AMQP) for event monitoring. If you choose Telemetry, you should first configure the ceilometer service on the undercloud to store events. 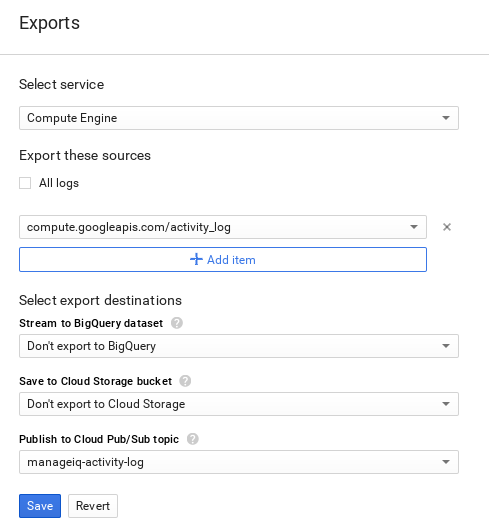 See Section 1.4.1.1, “Configuring the Undercloud to Store Events” for instructions. For more information, see OpenStack Telemetry (ceilometer) in the Red Hat OpenStack Platform Architecture Guide. 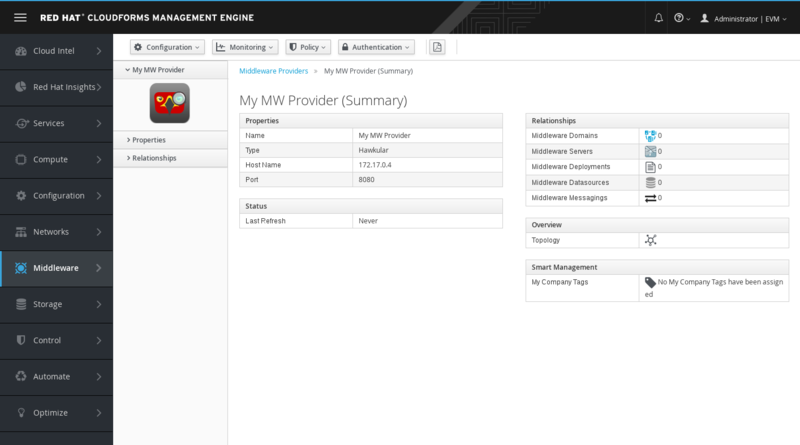 To use the Telemetry service of the OpenStack provider, select Ceilometer. Before you do so, the provider must first be configured accordingly. 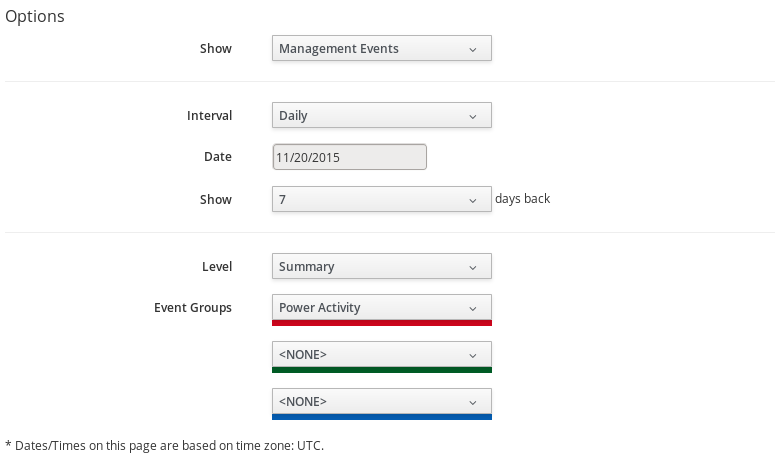 See Section 1.4.1.1, “Configuring the Undercloud to Store Events” for details. To allow Red Hat CloudForms to receive events from a Red Hat OpenStack Platform environment, you must configure the notification_driver option for the Compute service and Orchestration service in that environment. See Installing the Undercloud and Configuring the Director in Red Hat OpenStack Platform Director Installation and Usage for related details. In OpenStack, you must add admin as a member of all tenants that users want to access and use in CloudForms. 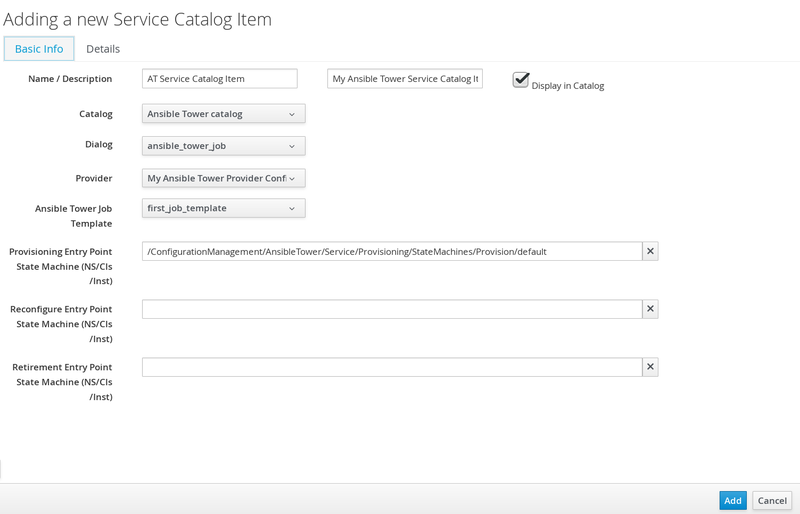 See Tenancy in the Deployment Planning Guide for more details on tenancy in CloudForms. Select a Security Protocol method. In Hostname (or IPv4 or IPv6 address) (of the Events tab, under Endpoints), enter the public IP or fully qualified domain name of the AMQP host. In the Username field, enter the name of an OpenStack user with privileged access (for example, admin). Then, provide its corresponding password in the Password field. Red Hat CloudForms allows administrators to disable Azure cloud regions on the appliance server. You can use this capability to disable certain classified regions. Once disabled, the region will not be available when adding a new Azure provider. Click the zone where the CloudForms server is located, then click on the EVM server. Search for :ems_azure:, and enter the regions you want to disable under :disabled_regions:. When adding an Amazon EC2 provider in CloudForms with the intention to use the SmartState analysis feature, Red Hat recommends assigning Admin group privileges. For situations in which assigning the Admin group is unacceptable, manually create an Amazon EC2 policy role using specific permissions. See Section 4.3.1.1, “Manually Creating an Amazon EC2 Role” for more information. To eliminate the need to assign Admin group privileges to the Amazon EC2 provider, create an IAM role following the procedure described in Creating a Role for an AWS Service (Console) in the Amazon Web Services documentation. Select EC2 as the service the role will use. Enter smartstate for the Role name. Once the IAM role is created, assign the provider Power User privileges as described in Section 4.3.1, “Permissions for Amazon EC2 Providers”. Complete the following procedure to add an Amazon EC2 cloud provider in CloudForms. Under Endpoints, click the Default tab. Click the SmartState Docker tab. Enter the SmartState Docker User Name and SmartState Docker Password. Here use your registry.access.redhat.com credentials required to perform SmartState analysis on AWS. These credentials are required so that you can pull the image from the Red Hat docker registry. Amazon’s AWS Config notifies subscribers of changes in a region through its Simple Notification Service (SNS). 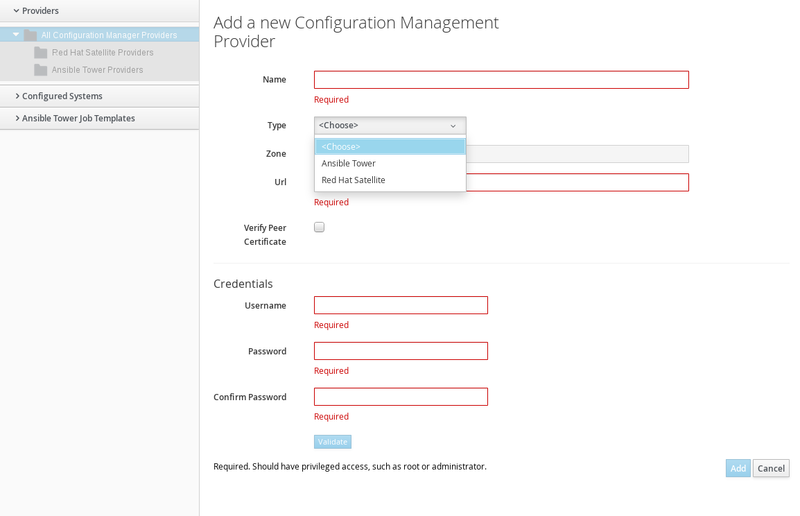 Red Hat CloudForms subscribes to the SNS service for AWS Config deltas and converts the deltas into CloudForms events. Create a new Amazon SNS topic named AWSConfig_topic. CloudForms automatically connects to this topic. You can assign CloudForms policies to the AWS events listed below. The appliance performs a provider refresh on all these events except for AWS_EC2_Instance_UPDATE. 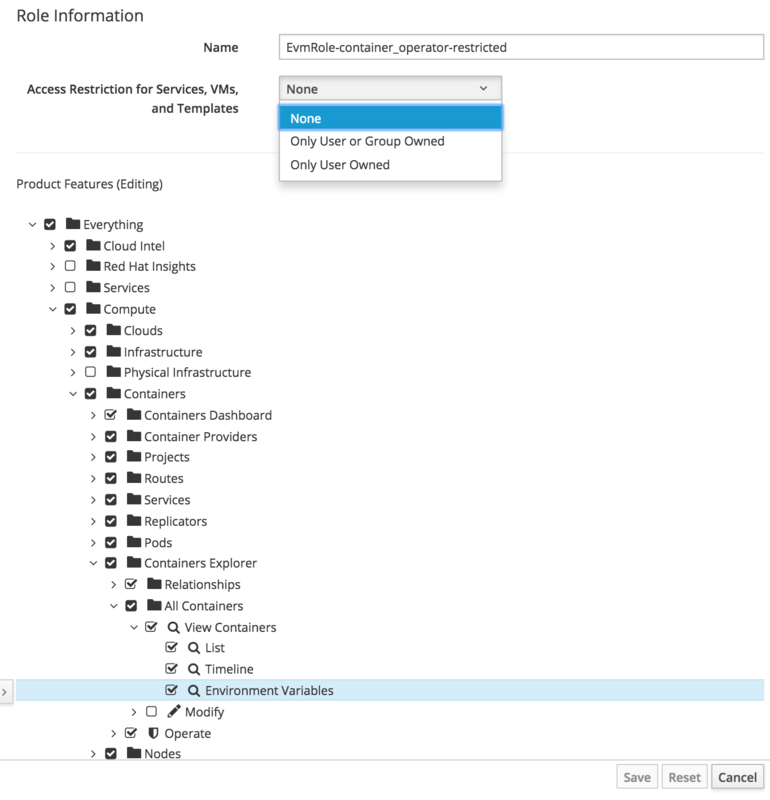 Red Hat CloudForms allows administrators to disable Amazon cloud regions on the appliance server. Use this capability to disable certain classified regions like AWS GovCloud. Once disabled, the region will not be available when adding an Amazon EC2 provider. Search for :ems_amazon:, and enter the regions you want to disable under :disabled_regions:. In AWS, Government regions are disabled by default. To enable a disabled region, be sure to do so in the production.yml configuration file manually. Select a Security protocol method to specify how to authenticate to the provider. To use SSL to authenticate the provider, the middleware management server must be started with the service option HAWKULAR_USE_SSL=true. The only supported security protocols for the current release of Hawkular are SSL without validation and Non-SSL.